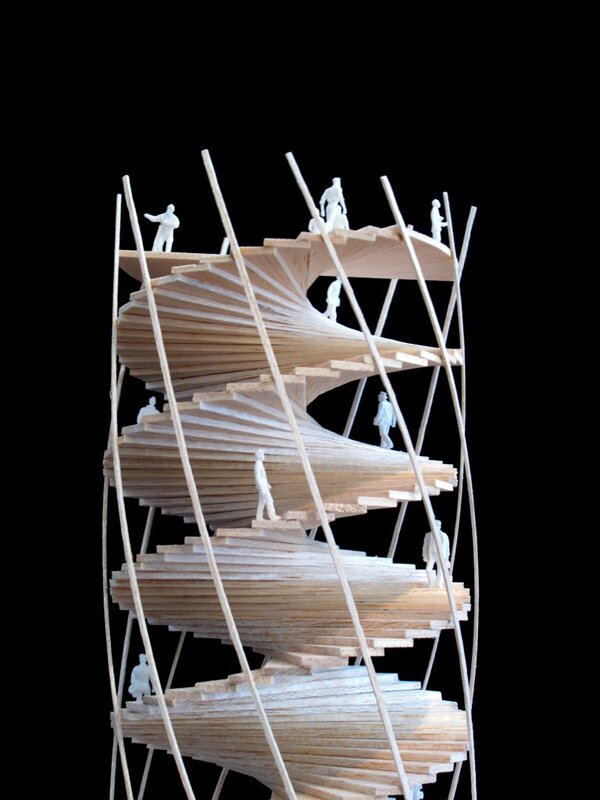 Double Helix Tower – invited competition 2010, 1st prize, unbuilt. Tham & Videgård wins competition for a new landmark and observation tower for the new urban development in Barkarbystaden, west of Stockholm. 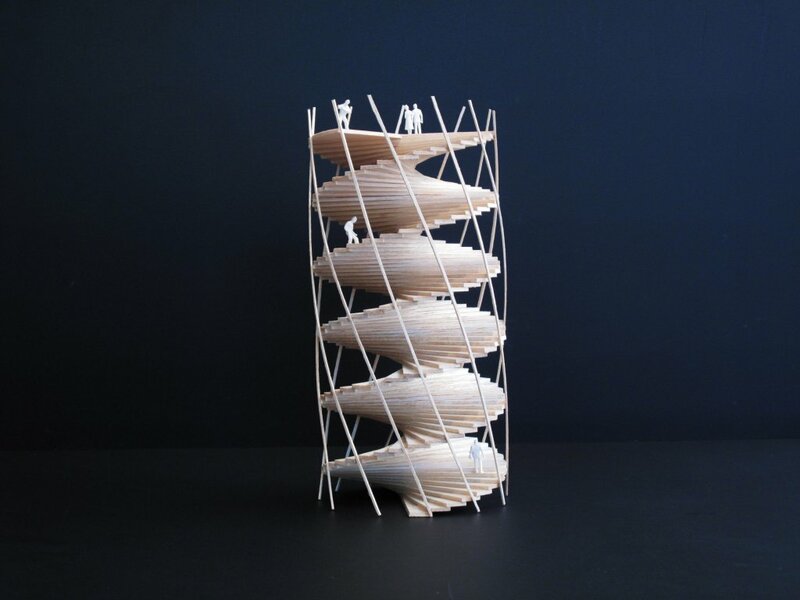 Based on the principle of a double helix spiral, the tower stands out with a direct and straight forward geometry, but also remains intriguing with the inherent complexity offerered by the movement through the two intertwined stairs. Seen from a distance – the site being located in a field next to both the E18 highway and the commuting trains from central Stockholm – the tower is perceived as a graphic silhouette against the flat landscape and the sky. The two interlocking stairs are painted in two shades of red colour (Swedish faluröd). 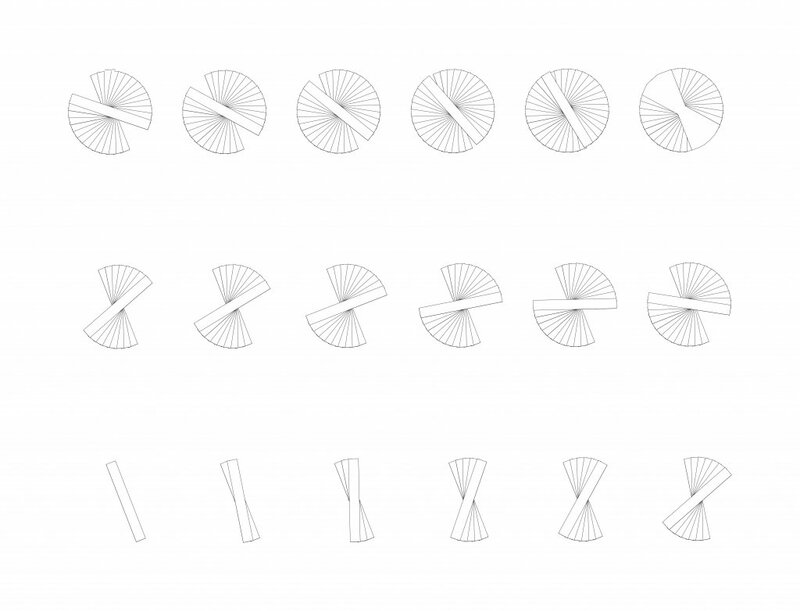 The structure is stabilized by a transparent outer skin made of steel wires. Light will complement the colourscheme at night. On the site there will also be a landscaped out door Infocenter presenting the urban plan and ongoing development of Barkarbystaden. Groups will continue the visit up the to the observation deck where the geography is visualized explained in real. The double stairs allow for different groups to move independently up and down the tower. The tower is built through out in massive wood within the logic of a timber construction, thus making it possible to demount and reuse again after the twentyfive years planned for establishing the new Barkarbystaden. Then the landmark tower will have a second life as part of parks and playgrounds in the new urban area.